Robert advises on tax, trust and estate planning for wealthy individuals, their advisers and trustees. He acts for a wide range of clients including the owners of landed estates, business people, non-domiciliaries and international families with assets in multiple jurisdictions. Robert is a Trustee of a number of UK trusts including several that hold heritage assets, and he also acts as Executor. Robert advises on contentious trust and probate work, and has recently been involved in applications to vary and rectify trusts both in the UK and offshore. Robert has developed a reputation for advising a number of high profile US families based in the UK (alongside their existing US advisers) and he is also experienced at advising Middle Eastern families on the creation and reorganization of trusts, including Sharia compliant structures. He is also known for his sensitive handling of complicated family situations. Robert is a member of the Society of Trust and Estate Practitioners. He has spoken at conferences and seminars in a number of locations worldwide, including London, New York, Geneva, Bahrain and Dubai. Robert is recommended in Chambers & Partners UK and Global directories and the Legal 500 UK. 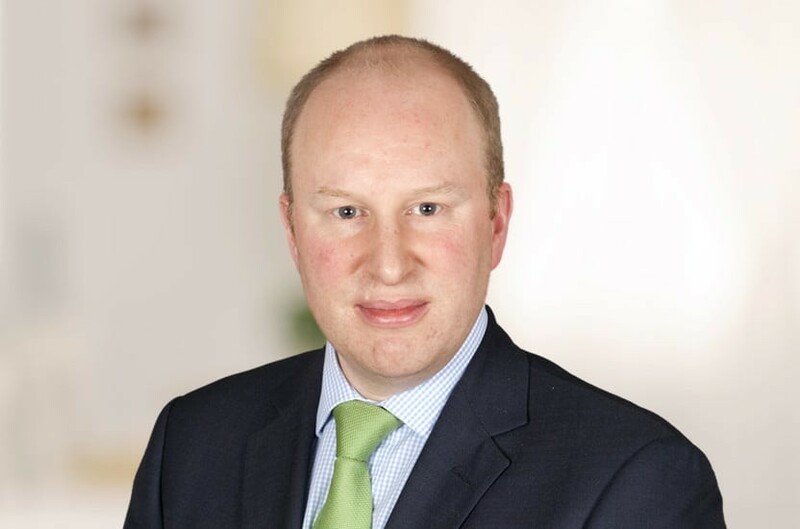 The Legal 500 UK describes Robert as “excellent” and says he "has a breadth of knowledge and experience", is "well-connected and commercial", displays "a willingness to explore lateral solutions" and is "knowledgeable, approachable and quick to respond". The directory further praises him for being "effective, providing good follow-up and thorough explanations around procedure". Chambers & Partners UK writes that he is particularly revered for his representation of clients with agricultural interests and that they find him easy to work with, clients saying "he is a wise counsel and is very commercial in his outlook". Robert is described as a "good communicator - he's understanding and thorough, with enormous integrity", with one source noting that "his attention to detail and knowledge of estates are second to none". Impressed clients report that Robert "was there all the time and dealt with everything personally" and the directory goes on to say that Robert regularly advises Middle Eastern clients on the establishment of trusts and UK property holding structures. Chambers Global also recognises that Robert has a private client practice that combines international matters and landed estates work. It highlights that he works with private individuals from the USA, as well as advising Middle Eastern clients on Shari'a-compliant trust structures. The directory quotes an observer who says that Robert is "very responsive, meticulous and an effective adviser". Robert was named Private Client Lawyer of the Year in the Spears Wealth Management Awards 2009, and he has been recognised in the Citywealth Leading Lawyers List for 2012, 2013, 2014, 2015 and also the current 2016 publication. He is also recommended in The International Who's Who of Private Client Lawyers for 2013, 2014, 2015 and the current 2016 publication. In 2011, Robert was awarded a distinction in the STEP Advanced Certificate in Trust Disputes. Robert trained at Withers. He joined Payne Hicks Beach from Trowers & Hamlins where he moved in 2004 and had been a partner since 2007. Qualified 1998, joined Payne Hicks Beach 2012, partner 2012. "He has the client management skills that have allowed him to become that trusted adviser that many clients search a lifetime for"